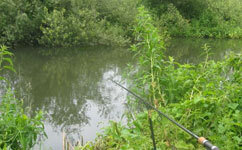 Spend some time here and I guarantee it will help you catch more barbel. There’s up to date news of what’s happening in the barbel world, my regularly updated blog, guest articles and features from my many friends in the barbel world plus the opportunity to join me on Barbel Fishing Adventures on the Kennet, Severn, Wye and Teme. Or perhaps we can meet up on your favourite river? Having been instrumental in forming the Barbel Society back in 1995 I’ve been very actively involved in the barbel scene for the past fifteen years. 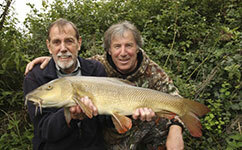 These days barbel fishing pretty much takes up most of my life! Take time to browse the various sections and whatever else you do always make sure you enjoy your barbel fishing, because that is what it’s all about! Check out the guiding pages to see how you can join me on an exclusive stretch of the Kennet where double figure barbel are always on the cards.